Saturday 9th June 3.30-5.30pm @ Allemuir, 14-15 Frederick St, Jewellery Quarter, B1 3HE. Are you thinking of improving your home, extending or refurbishing? Or you may just be looking for inspiration on how to get started? 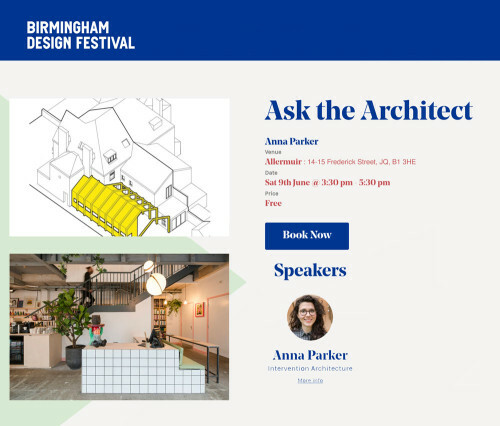 Join Anna Parker a qualified Architect and founder of local RIBA Chartered studio Intervention Architecture, for a FREE one-to-one consultation, expert tips, and guidance on how to get the best from your design and making the most of your space. Learn about what to expect from deciding costs and working with your budget to gaining planning permission, working with contractors, through to the completion of your project. 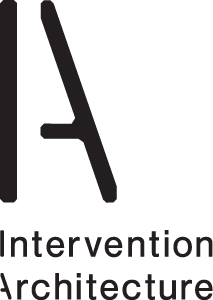 Consultations will be first come first served in an open format.